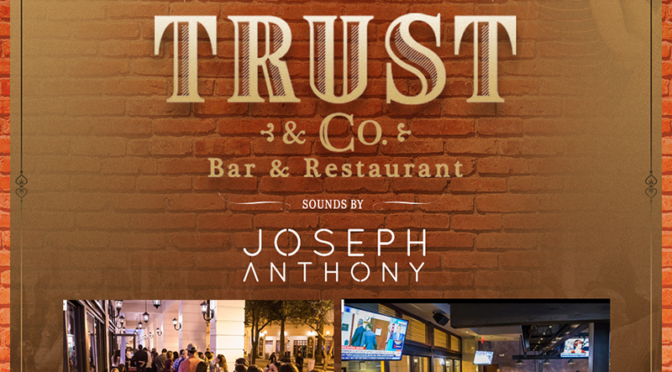 August 26th, 2016 Fridays at Trust & Co. 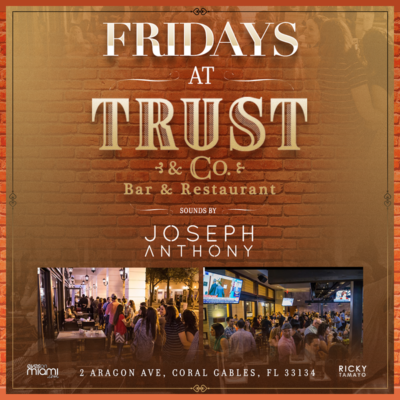 The new Friday party at Trust & Co. brings out all the Miami locals to the new hot spot in Coral Gables. Come to dine drink or dance the night away to a selection of old school 80’s 90’s and todays top 40 music. Contact us at 305.299.4110 for large parties, dinner RSVP’s, birthdays and bottle specials. Previous PostSeptember 5th, 2016 One Epic Summer #LaborDay EditionNext PostSeptember 9th, 2016 Fridays at Trust & Co.